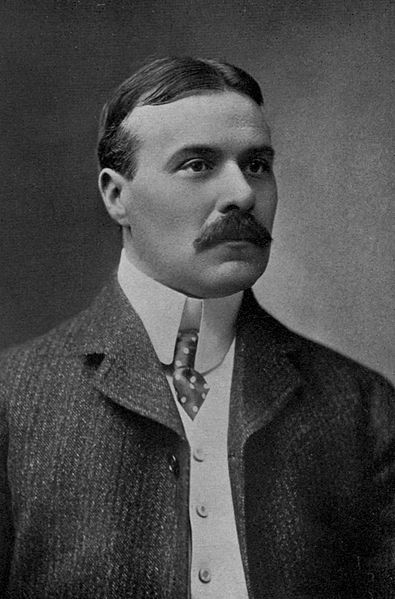 Robert William Chambers (1865 - 1933) was an American artist and fiction writer. He started out writing in the "weird" and gothic horror genres and then attempted his hand with romantic fiction and adventure novels before returning back to this original style. He is best known for his incredible short story collection The King In Yellow (1895), a volume that would influence H.P. Lovecraft and other writers. The stories contain elements of fantasy, the supernatural, science fiction and gothic horror tales. Fans of the HBO Series True Detective will recall the terms "Carcosa" and "the yellow king" being used repeatedly throughout the first season. The King in Yellow and Bierce's An Inhabitant Of Carcosa are the original sources of those terms.